Historical men and women: Subutai, a ruthless "dog of war"
Although there can be few people who have not heard of Genghis Khan, the Mongol emperor who swept all before him as he built a vast Asian empire in the 13th century, the same cannot be said of Subutai, who was one of the Khan’s feared “dogs of war”. However, without Subutai’s leadership and tactical genius it is quite possible that Genghis Khan would have achieved very little. The story of Subutai, who was arguably one of the greatest generals of all time, therefore deserves to be better known. Subutai was not a Mongol by birth but a member of the Uriangkhai tribe from the shores of Lake Baikal in central Asia. He was the second son, born in 1175, of a blacksmith whose work took often him south to provide services to the nomadic Mongols at one of their temporary camps. Subutai’s father probably met Temujin (born 1162), who was to become Genghis Khan (a title meaning “great lord”) on one of these trips. 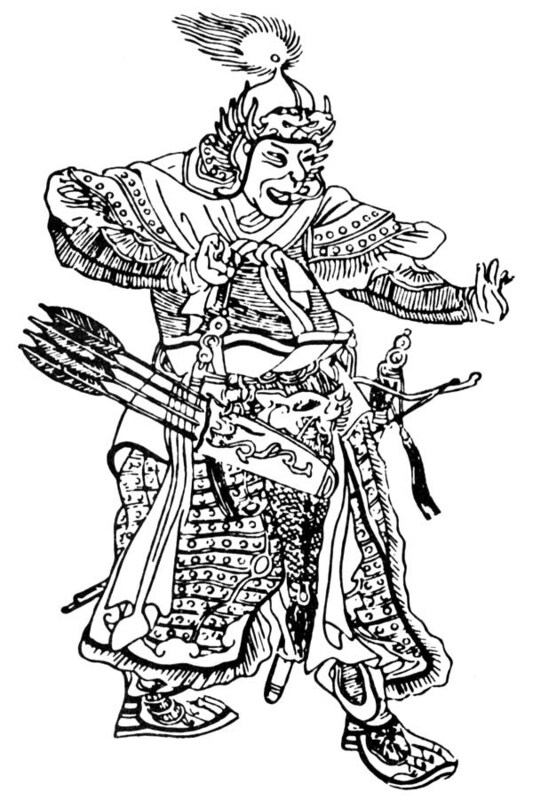 At some stage Temujin offered to take on the blacksmith’s two sons as servants. Subutai had to learn the way of life of the Mongol warrior, which was centred around the horse, not only as a means of waging war but as a source of food in the form of mare’s milk, which was fermented and mixed with blood. Mongol armies could cover huge distances because they never stopped moving all day. A soldier would pack raw meat under his saddle where it would be tenderised as he rode; he would cut off and eat strips of it as he rode along. Subutai rose to become a trusted lieutenant to Tamujin. When the latter suffered defeat at the hands of his rival Jamuka in 1203, Subutai stayed loyal and helped him to exact his revenge a year later. In 1205 Subutai was given his first solo command, which was to track down and destroy bands of the Merkit tribe who had escaped an attack by Temujin. This attack had been made possible by Subutai’s cunning, as he had gone to their camp and pretended to be a traitor to Temujin. Having persuaded them that Temujin would not attack they relaxed their guard, at which point Temujin did indeed attack. In 1206 Temujin assumed the title of Genghis Khan and appointed his four “orloks”, or field marshals, with Subutai being one of them. In 1210 Subutai played a vital part in the defeat of the Jin dynasty of northern China, which was protected by the Great Wall and whose population vastly outnumbered that of the Mongols. With an army of 30,000 mounted soldiers, Subutai moved south across the Gobi Desert and attacked the wall. This forced the Chinese to focus their attention to the north but it was a diversionary tactic; Genghis Khan’s main army of 90,000 men then attacked from the west and the Chinese had to turn to meet this much greater challenge. The battle was hard fought, but Subutai’s men were able to catch up and attack the Chinese in the flank, which proved to be decisive. The Chinese capital of Zhongdu (the site of modern Beijing) was overrun and most of its people killed, but it would not be until 1234 that the Jin dynasty finally gave in. Meanwhile the Mongols looked westwards for their next conquest, with their eyes on the vast Muslim empire of Khwarezm to the south and east of the Caspian Sea (covering much of modern-day Turkmenistan, Uzbekistan, Afghanistan and Iran). The empire was governed by Shah Ala ad-Din Muhammad. Subutai and his fellow “dog” Jebe were sent at the head of an army of 200,000 men, which was only half the size of the potential force they would confront. Subutai sent Jebe to lead a 30,000 strong diversionary force through a high mountain pass while taking the main force across the vast Kyzylkum desert to attack the capital city of Samarkand from the west. Shah Ala was forced to retreat. Genghis Khan’s army proceeded to work its way through the Khwarezm empire, destroying every city it came across and killing millions of people. The Mongol tactic was always to pursue a defeated enemy and to use terror as a weapon that would discourage anyone from offering resistance. Eventually the Shah escaped with a few bodyguards to an island in the Caspian Sea, where he died. Genghis Khan then returned to Mongolia. However, Subutai was far from finished with the business of conquest. In February 1221 he headed north and west towards Russia with 20,000 men and was met in Georgia by King George the Brilliant. The Mongols used to great effect the tactic of feigning retreat and then counter-attacking, forcing the Georgians to retreat to their fortified capital of Tiflis. However, on this occasion the Mongols did not attack their weakened enemy but retreated themselves, being short of supplies. Instead, they returned when least expected, late in the year when armies would not normally be on the march. The Georgians were taken completely by surprise and routed, with King George being killed. Subutai’s army was then free to continue northwards through the Caucasus Mountains. However, it was now Subutai’s turn to be taken unawares. Emerging from a mountain pass, he found that there was an opposing army waiting to do battle with him. This was a coalition force comprising remnants of the Georgian army and members of the Cuman tribe who were related to the victims of Genghis Khan’s Khwarezm campaign. Subutai was never one to fight a battle that he knew he could not win, so he adopted the tactic of “divide and conquer” by bribing the Muslim Cumans to abandon the Christian Georgians. With the Cumans out of the way, the Georgians were easily defeated but, once this was achieved, Subutai chased after the Cumans and slaughtered them too. A meeting with a band of traders from Venice allowed Subutai to strike a deal by which his agents gained valuable intelligence about the peoples of western Europe that might be on a future conquest list, in exchange for a promise to destroy the trading posts of nations that were in competition with Venice. Subutai had one more stunning victory, against the 80,000 strong army of the Prince of Kiev in 1222, before heading for home. However, he would return in due course. Subutai’s next venture westwards was not until 1237, when he had reached the age of 62. Genghis Khan had died in 1227 and his son and successor Ogodei had mainly been interested in consolidating Mongol power in the far east (against Korea and southern China in particular) before turning his attention to the west. Subutai, and Ogodei’s son Batu, headed an army of 150,000 men through central Russia, destroying Moscow in 1238 and Kiev in 1240. Central Europe now lay before them, with the army of Hungary, under King Bela IV, being the main obstacle in their path. Subutai’s tactic was to split his forces by sending 20,000 men north to counter any Polish support for the Hungarians and to face Bela’s force of 70,000 knights with a smaller force of 50,000. They met on the Plain of Mohi in April 1241. 30,000 men were sent in secret to surround the Hungarian flanks while the rest delivered artillery fire in the form of catapults, flaming tar and firecrackers. When the flanking troops closed in, the Hungarians were forced to fight on three fronts, which was a deliberate ploy on Subutai’s part because he had left the fourth side open as a means of escape. When the Hungarians fell for this ruse, the Mongols closed in and proceeded to destroy virtually the entire army. At this stage, the whole of central and western Europe was at the Mongols’ mercy, but this was when news reached them that Ogodei had died and a new leader must be elected. The Mongols promptly packed up and went home, and this time they did not come back. Subutai retired from soldiering and ended his days as a herdsman, far from the centre of power. He died in 1248 aged 73, having in his career conquered 32 nations and won 65 pitched battles, which is more than double the number won by Napoleon Bonaparte. Subutai’s military tactics have been studied and copied by army leaders down the centuries, particularly as regards his control of smaller units in the field that could be brought together at the opportune moment. Many of the campaign and battle tactics used by modern armies were first developed by this highly successful, and also ruthless, 13th century Mongol commander.